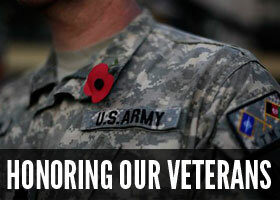 Its easy to show your appreciation to our Veterans and their service. Here are THREE ways you can help today! 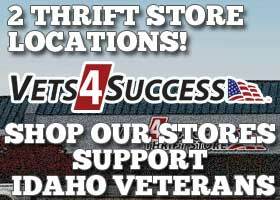 Time: by volunteering with Vets 4 Success at our Thrift Store. Items: we need your gently used items to sell in our Thrift Stores. We accept items at our Thrift Store located at 10321 W.Fairview Ave. Boise, Idaho 83704. Money: we accept monetary donations in the form of direct cash contributions, estate and planned gifts, or simply go shopping at any of our Thrift Store or online retail locations. As an added bonus for supporting our Military Veterans and their families, donations of money and gently used items for our Thrift Stores are tax deductible. Why Donate to Vets 4 Success? When you donate to Vets 4 Success you help create jobs and opportunities for military Veterans. By providing funding for our programs, you help Veterans remain employed and help our heroes receive training and support. 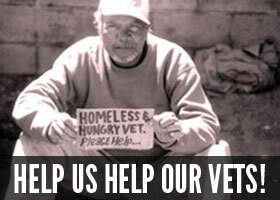 All donations received by Vets 4 Success go toward the operations or our programs. These programs include: Employment Development Program, Veteran Care Packages, Computer Labs, and Aid to Veterans in Need. For additional information on our programs Click Here. How Does Vets 4 Success Operate? Funding for our programs comes from revenue generated by our Vets 4 Success Thrift Stores. Through our Thrift Store and Donation Center operations we are able to provide employment, support, and training for military Veterans in our Employment Program. Thrift Store revenues are used to help fund our programs, however they are also used to cover necessary overhead and expenses associated with operating in a retail environment. This is why it is vital to the success of our mission and programs that we seek additional funding through donations. At Vets 4 Success, we take our responsibility very serious. We strive to be the best stewards in regards to budget management and the funding of our mission. Whether it's a direct donation, or funding from the sales revenues of Vets 4 Success Thrift Stores, we will maximize the value of every dollar we receive. All donations are Tax Deductible. Please print the copy of your receipt to keep for your records.